Dream Boy Leon - Drawing Art. Art not mine, * SEE The Drawing Process & main artist in the "COMMENTS BELOW" *. 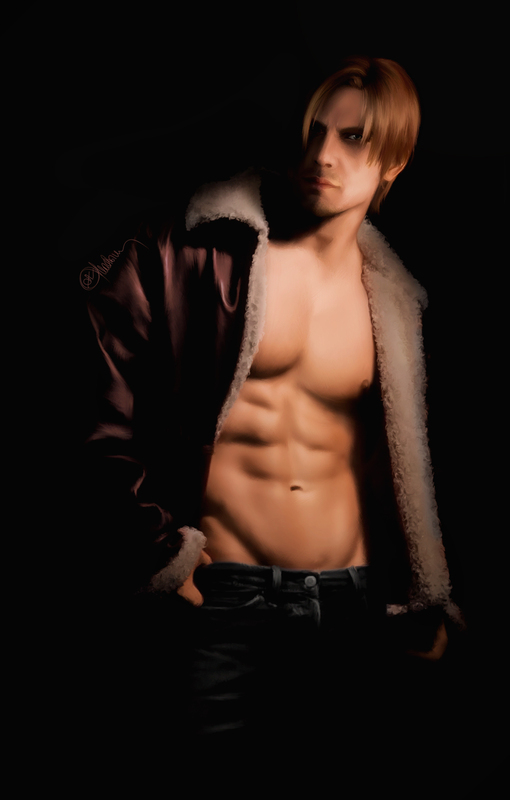 HD Wallpaper and background images in the Leon Kennedy club tagged: resident evil 6 leon s kennedy leon kennedy resident evil resident leon scott kennedy leon fan art leon drawing art. This Leon Kennedy fan art might contain 큰 덩어리, 한 조각, 피부, 스킨 톤, 누드 컬러, 부분 벌거 벗음, 묵시적 누드, 부분적인 벌거 벗음, 묵시적인 누드, 묵시적인된 누드, 부분적인 벌거숭이, and skintone.